Another one of the lovely Wee stamps, this one is calle Mountain Lily. I wanted her to go on a winter card so used blues. 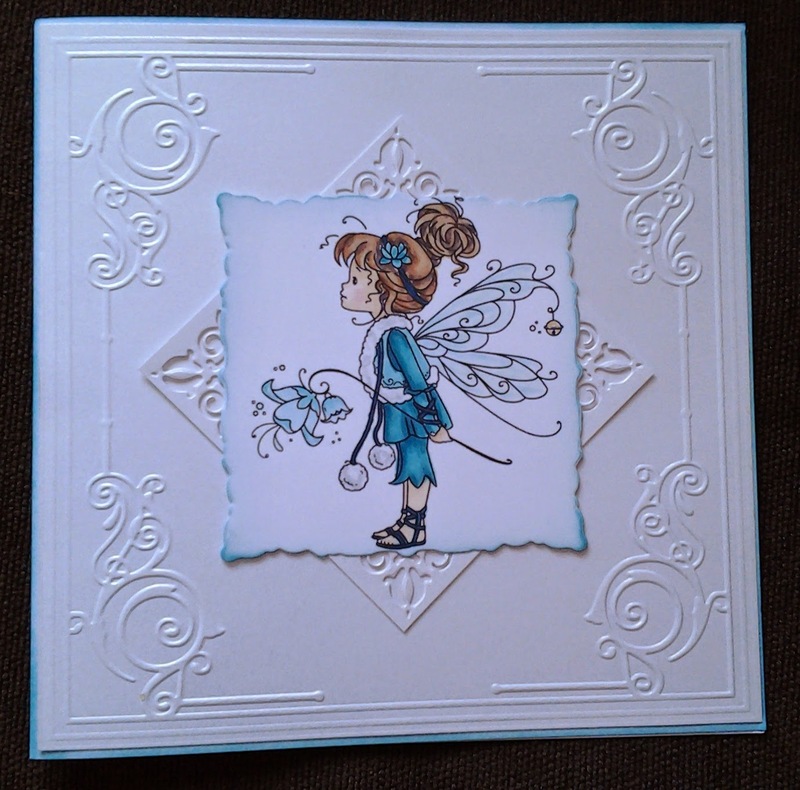 The main card is an 8 x 8 and I used Broken China Distress ink around the edge to match with the fairy. I embossed some white Centura Pearl in a Crafters Companion Embossalicious folder. The Mountain Lily fairy and the square behind her were cut out using Spellbinders Adorning Squares set. I have not added a sentiment, maybe later when I send her to someone but probably not as I like her as she is. How absolutely beautiful!! LOVE your colors.. Love the embossing!! Absolutely gorgeous!!! So chic & classic card. I love your image. Thanks for playing with us at DReam Valley challenge.